Facebook is not improving chat section.Facebook chatting irritating you when you are online.This default chat box keeps on popping up. The worst part is the fact that you cannot move the chat box around, cannot minimize it, no options available to change size and fonts and most importantly, you cannot share smileys with your friends. 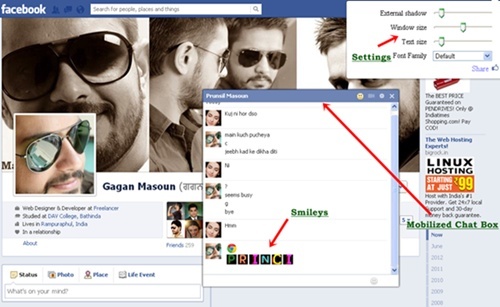 This tutorial will give you simple tricks about customization for your Facebook chat, allowing you to enjoy all the amazing features that are a part of any chat box with a simple and quick process where all you need to do is to install an extension and start chatting with your friends on Facebook-the way you were never able to! 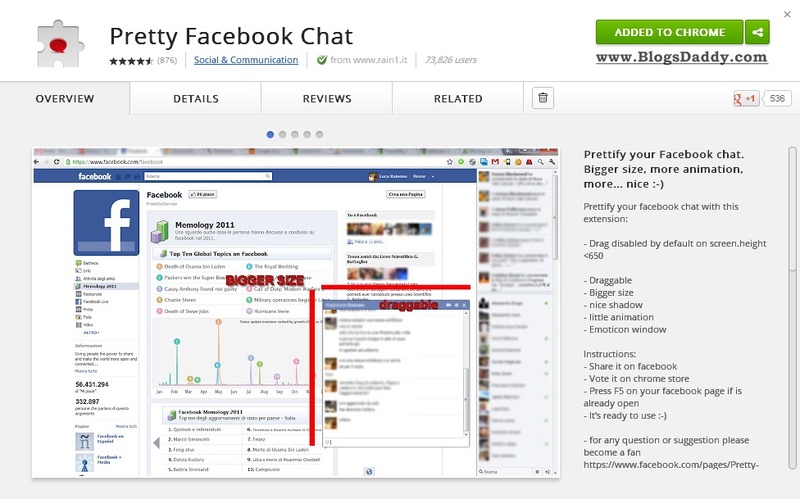 73,826 users (and counting) using this extension for Facebook chatting. Google is a guru for all the solutions, all you need to have is Google Chrome browser on your computer or laptop. Go to Google Chrome Webstore and search Pretty Facebook Chat. Pretty Facebook Chat is an extension that provides you many added features if used with Google Chrome.You can Download and Install Pretty Facebook Chat by clicking on the link. If a red bubble will appear in the address bar, as well as beside the Facebook chat option it means your installation is completed.Please refresh or reopen your Facebook account for enjoying the newly added chat features in your Facebook profile. Click on the red bubble icon to switch on the extension's services. The Added Features Are Now Available! This extension is ready for working for your Facebook chat, now you can chat with your friends with the help of lot of features, there are lot emotions added in your chat box now you can send these emotions to your friends according to your mood. Other thin you can customize your chat Fonts and Box size also. You can set the font Style, Font Size and the Box Size by clicking on the red bubble at the address bar.